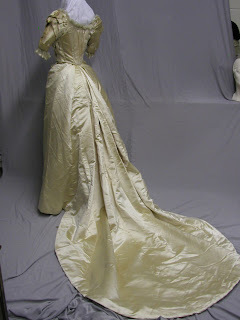 the silk chiffon which is in good condition except for a few holes. The silk lining is also in good condition. The bust is 28.5 and the waist is 22. 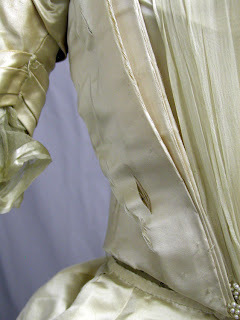 The skirt has shattering down the front and is missing silk tulle that was gathered all the way down the front. 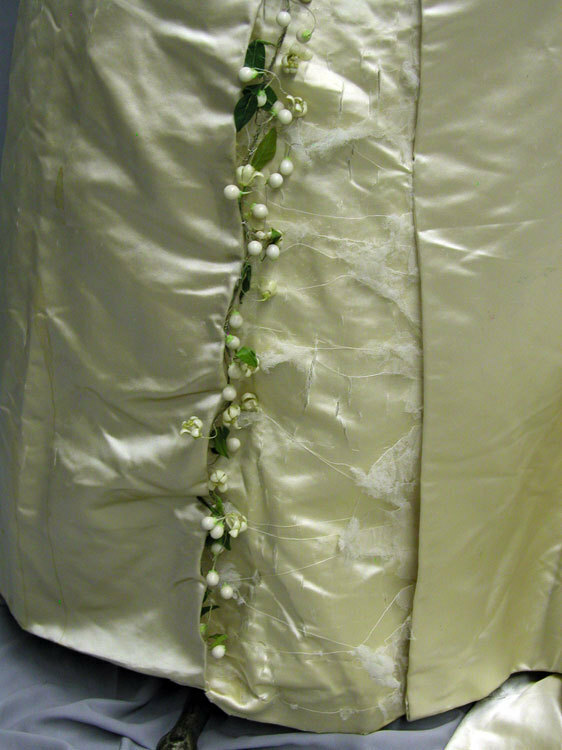 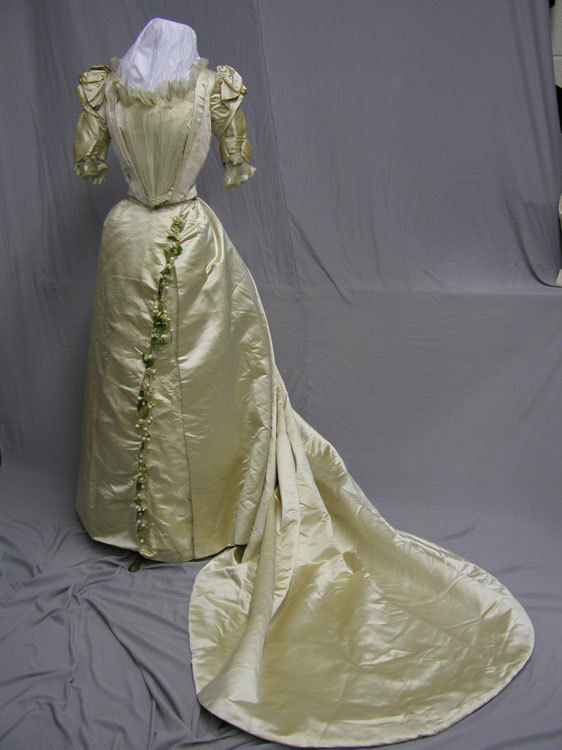 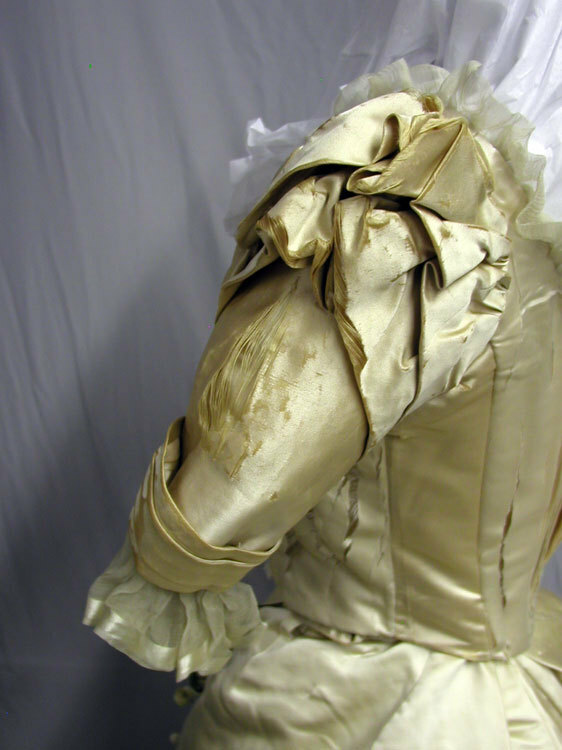 The wax orange blossoms are still on the dress and could be used for numerous things. 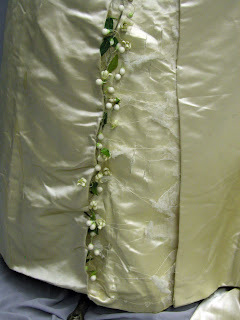 The back of the skirt is in better condition and is still strong enough to sew on. 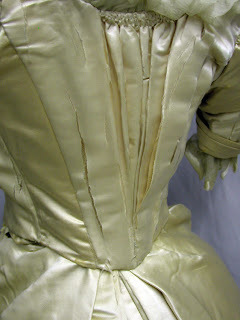 There are long drip stains down the front of the skirt. 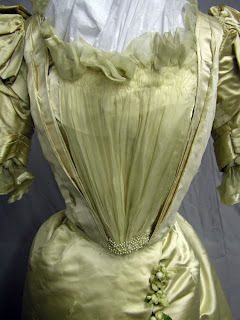 The waist is 22 inches. 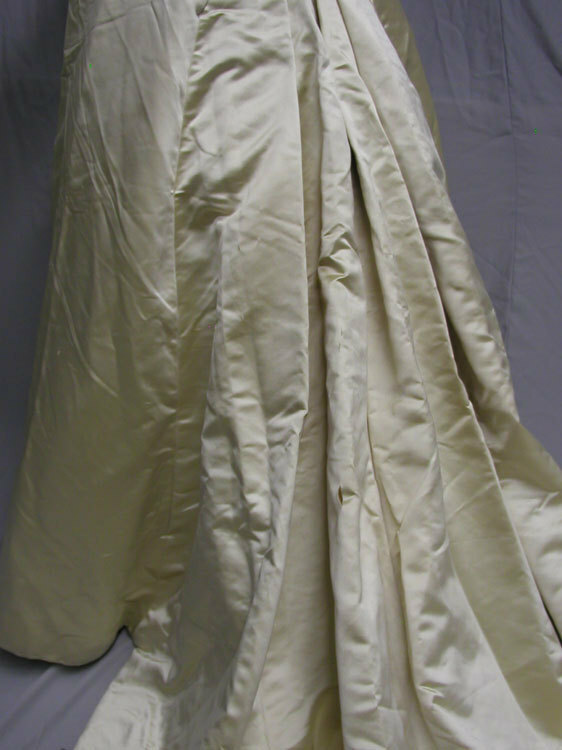 The bidding starts at .99 with no reserve. This dress is not wearable. 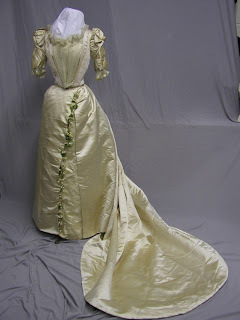 This dress looks like it came straight out of an 1898 fashion plate!